1. Develop a thorough understanding of the ductwork and mechanical systems detailed in the drawing. 2. Gain a sound knowledge of materials, methods and customs prevailing in the trade. 3. Use experience and information collected or gained through an understanding of the trade, relating to materials required, hourly output of workers and equipment, overhead expenses and costs. 4. 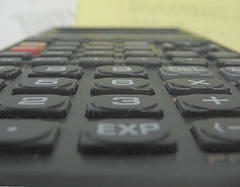 Develop an understanding of the process for preparing an estimate. 5. Develop a systematic and orderly methodology. 6. Conduct careful and accurate calculations. 7. Collect, classify and evaluate data that would be useful in estimating. Instruction or careful and thorough study of an estimating manual will help a beginner to become an effective estimator. Computerized estimating systems offer a methodology and process for effective detailed HVAC Estimating but understanding the fundamentals are important.